NAADAC Education Research Foundation on your behalf! A perfect way to support addiction professionals! Amazon is one of the most widely used websites in the world. We were pleased to hear that, effective October 2017, customers can now elect to donate 0.5% of their purchase to the charity of their choice. This is all made possible by shopping on smile.amazon.com. 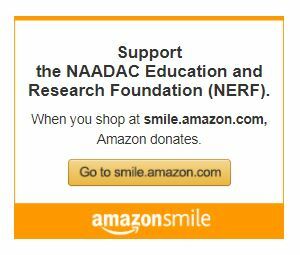 If you already shop on Amazon, or if you’re looking for the perfect gift for a loved one, we invite you to shop at smile.amazon.com and choose NAADAC Education Research Foundation as your charity of choice. 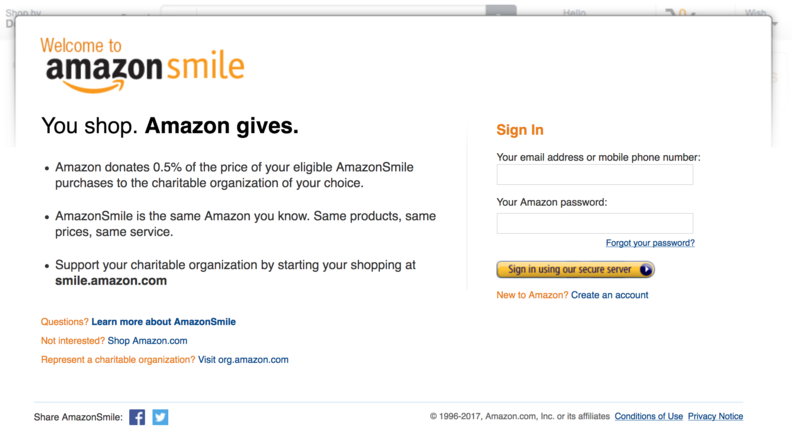 Below you can read about how to use Amazon Smile. The screen will look slightly different depending on whether or not you’re already signed into Amazon. If you’re already signed in, you’ll see a screen like the one below. Simply search for “NAADAC Education Research Foundation” or the charity of your choice and proceed to step 3. After signing in, search for “NAADAC Education Research Foundation” or the charity of your choice. When you search for a charity, such as “NAADAC Education Research Foundation,” you will be given a list of possible matches. Select the charity of your choice to continue. Once you’ve selected your charity everything else functions the same. Shop for your favorite products or the perfect gift. Most products are eligible on Amazon Smile–if not, you’ll be notified. You can checkout normally as well. No extra cost is passed onto you–Amazon will donate 0.5% of your purchase to NAADAC Education Research Foundation! 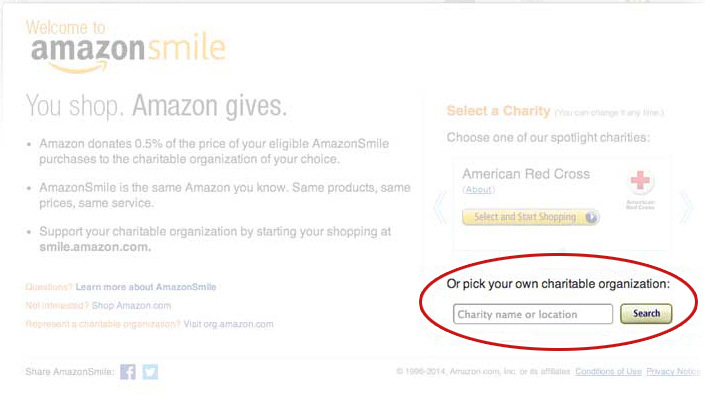 We applaud Amazon for their efforts to support charities. We hope you will take the opportunity to support NAADAC Education Research Foundation with your eligible purposes on smile.amazon.com. Need more help getting set up? Visit the Amazon Smile help page or call their customer support at 1 (888) 280-4331 and tell them you want to support NAADAC Education Research Foundation.